Blow-outs are my jam. When a blow-dry bar opened five minutes from my house, I popped a bottle of champagne, booked standing Monday morning appointments, and kissed my savings goodbye. Yeah, getting your hair professionally blown-out and styled can easily become an expensive habit. But with a few key tools and awesome products, you can get the look at home for a whole lot less. Yes, it takes practice, but lucky for you (and me!) stylist Tony Odisho has shared his fool-proof tips and step-by-step tutorial for a gorgeously glam, but still super simple do! 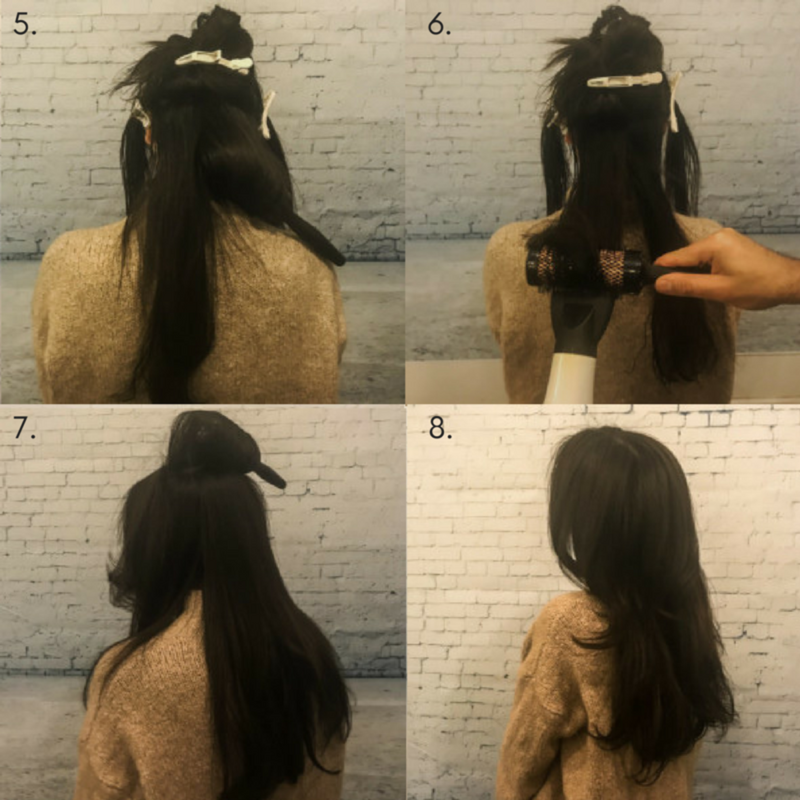 This step is vital whenever you’re heat styling your hair. Skip it, and you’ll end up with dry, brittle hair that breaks off and thins. Use a versatile 3-in-1 Mist since; it serves as a heat protector, UV damage protector, and de-tangler. Using a serum helps prevent frizz and static while adding shine. The Ostia Collection Smoothing Serum does all of this while helping to hydrate your hair. Plus it’s light enough to use on fine hair without weighing it down or making it oily. It’s important to keep your hair hydrated so it doesn’t dry out during heat styling. 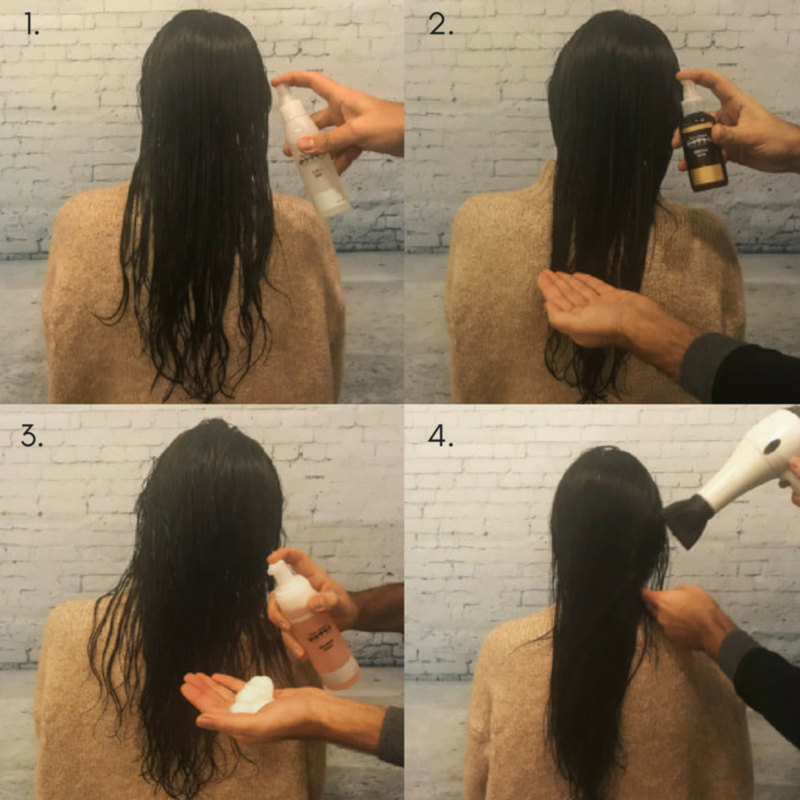 In order to really get the boost and volume a blowout promises, mousse is key. It adds texture and volume before you even touch the blow dryer. Opt for one that&apos;s light and fluffy without being sticky or difficult to manage. Your hair should be 80% dry before you even pick up your round brush. The focus should be on styling it, not drying it from soaking wet. You’ll get much more effective results! Using clips, section off your hair into manageable pieces, depending on the hair’s thickness. Then start blow drying it piece by piece. This brush&apos;s boar bristle strip gives tension to smooth out the hair. As you dry the hair, leave in the brush for about 15-30 seconds on each section while it cools. This will help your hair hold the shape better and longer. Be sure to save the top section of hair for last. It comes into play in the next step. Pull the top section toward your face and apply your round brush at the roots, moving it up from there and towards your face. 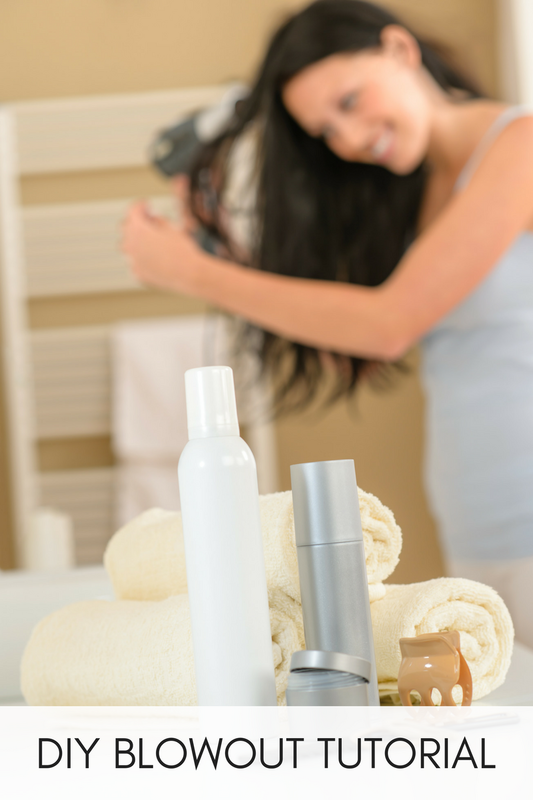 Over-directing adds an extra pump of volume to the top of your head to give you the boost that blowouts are known for.